Remember my post on Saffola Fit foodie's crave no more challanege that I wrote about Here. I recently went to take part in the second leg of the challenge where us, the six winners fought in two teams in a food truck challenge under the expert guidance of Chef Shipra Khanna and Chef Saransh Goila. 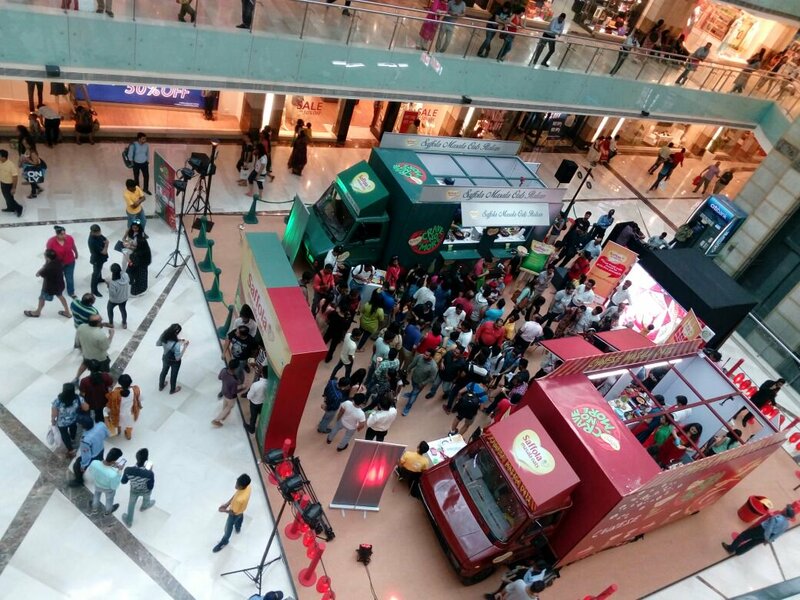 As promised in the first leg of the competition, the Food truck challenge took place in Gurgaon's Ambience mall on July 9. 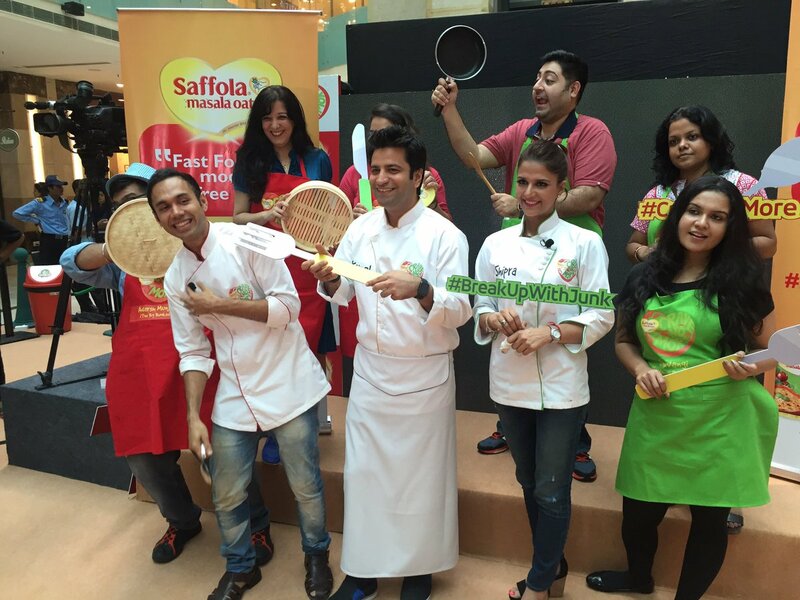 The plan was to divide the winners in two teams, each were to create dishes with one of the new flavours of Saffola's Italian and Chinese Masala oats. 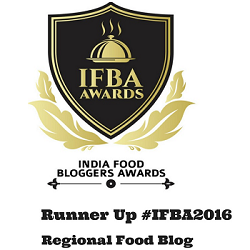 Following which I along with Kumar of Petpujaris and Shivangi of Shivangi reviews were given the italian team headed by Chef Shipra. Saloni of FBAI, Adarsh of Bigbhukkad and Priya of mumma's food diary were in the Chinese team headed by Chef Saransh. 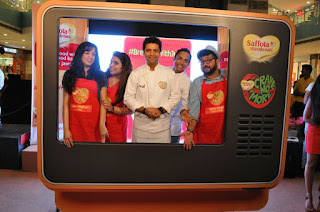 Chef Kunal Kapoor was there too as a judge and to guide us through the entire event. The main idea behind this event was to make people aware that how delicious dishes could be cooked with oats which not only satiate their tastebuds but also will help them to keep healthy and fit. The tagline Crave no more beautifully depicted the thought that there is no need to curb your craving to keep healthy. The saffola masala oats that comes in single serving pouch packets could be cooked in 2 minutes and through this events with the bloggers participation they wanted to bring in more creative gourmet recipe ideas with the two new flavour of Italian and Chinese Oats. We reached a day prior to the event and after a brief discussion we were taken to the Kitchen of Leela Hotel, adjacent to Ambience Mall. It was our first time entering a commercial kitchen and the enormous scale of the event started daunting on us. 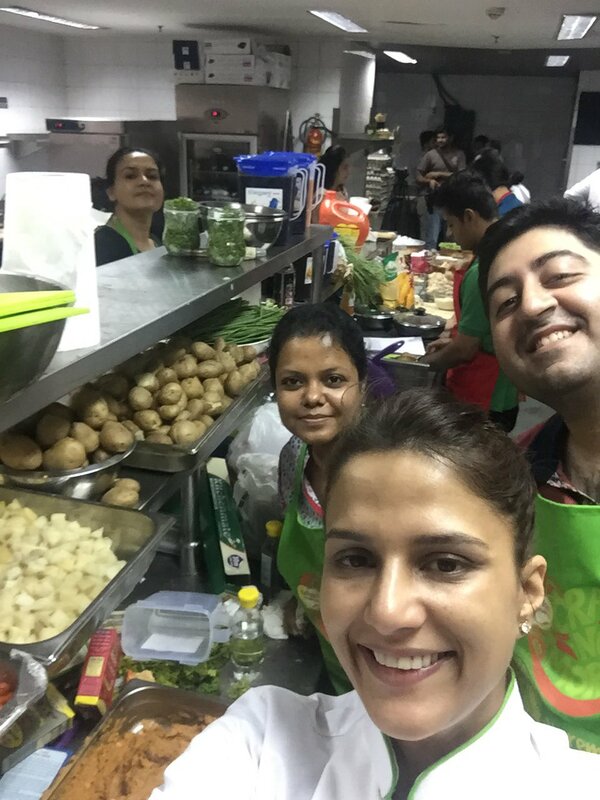 Teams were supposed to make a minimum of 750 plates of food each which were needed to be ready by next evening. 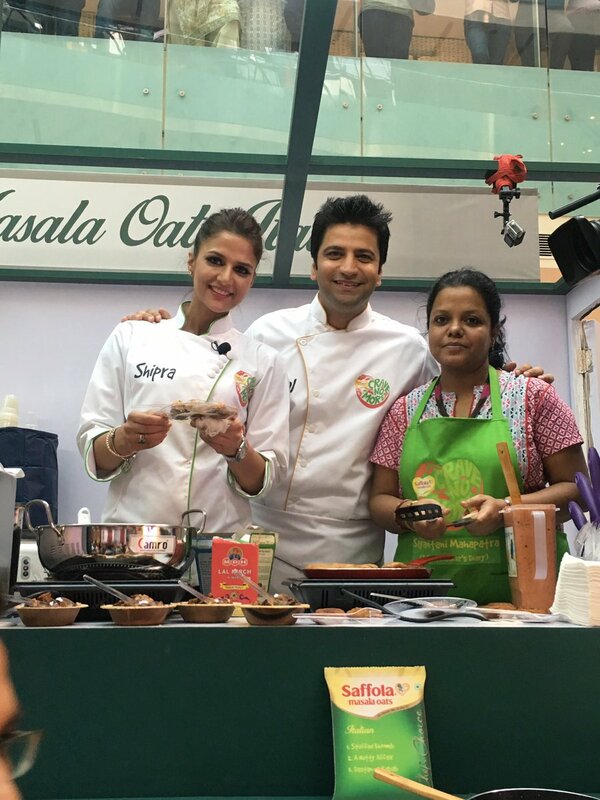 Chef Shipra created three amazing recipes using Saffola Masala Oats Italian flavour and soon we started the recipe tasting. 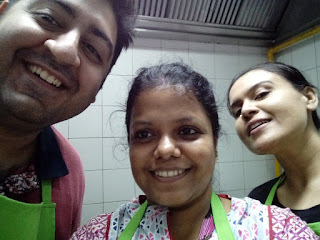 I personally was amazed to meet Shipra Khanna, the winner of Masterchef season 2. She not only knew what was expected of her in the event but delivered it perfectly keeping in mind all the pointers. Her recipes were quick, easy, healthy, used almost no fat but tasted brilliant. The three dishes that our team made were Dastaan e Kebab, Nutty affair (a chat with oats in the chutney) and stuffed mushrooms. 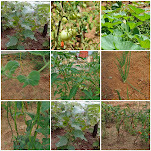 (The recipes would be soon posted on this page.). 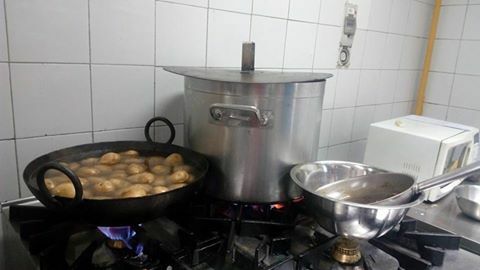 After the recipe tasting we decided to finish some of our prep to lessen our burden for the next day and decided to boil potatoes, make the tamarind chutney. We finished around midnight and went back to our hotel only to get back at 7.30 in the next morning. The next morning we started early to finish as much work as possible to get our preps done to finish the dishes and plating in the food truck itself. We knew we had humungous amount of work in front of us but we all were so excited that we peeled, prepared, cooked, shaped and did all our preps in no time and finished by the afternoon. It was a Saturday evening the footfall in the mall was huge. on reaching the venue we saw beautiful food trucks in green and red decorated as per the theme. We set our station and then started all the fun. There were huge lines in front of our truck and the four of us including the chef worked non stop to prepare and serve food. The most interesting part was the live feedback for which we cooks crave for. People tasted our food and struggled to understand how we have used the oats. Many came back again and again and some even asked for the recipes. 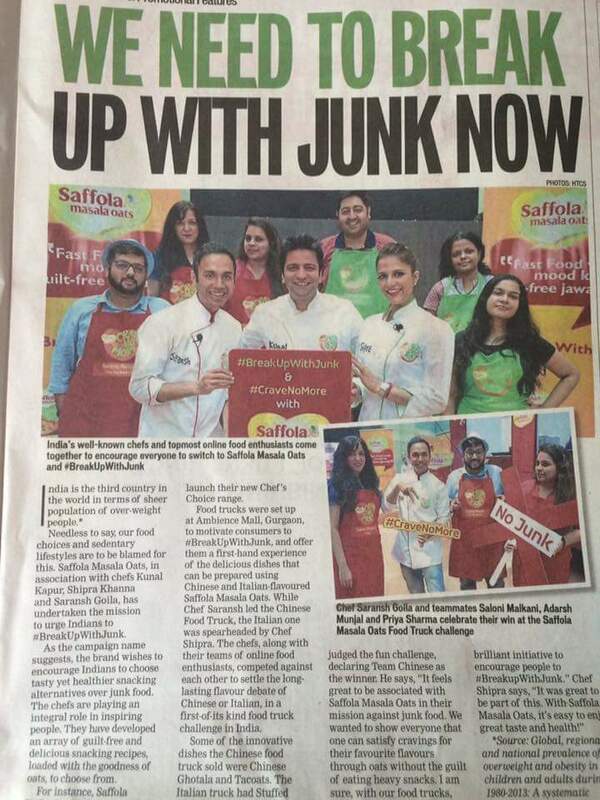 It was a great experience to cater to so many people, meeting them and getting the feedback directly from them. Our food got over within an hour and we made fresh batches of tikkis on the venue as the demand was huge. Though at the end we lost the battle as Chinese team sold more plates of food but we thoroughly enjoyed the whole experience. 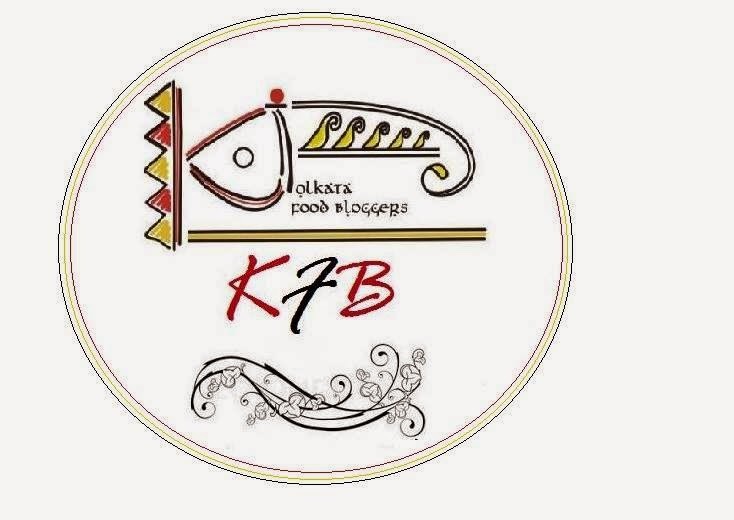 Starting from working in a commercial kitchen and preparing such huge quantities, working for so many hours non stop to get our things done, meeting so many customers who tasted and appreciated our food and finally this beautiful initiative, where we became a part of spreading the word that there is no fight between healthy yet tasty food. The show got aired in two parts on NDTV good times in the beginning of August'2016. It was a wonderful experience for us all. 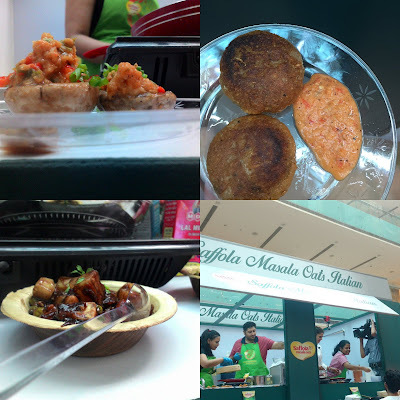 Meeting other bloggers, creating recipes that makes healthy food tasty too and most importantly getting feedback from the customers was a huge high. Thanks to Saffola for creating such a beautiful event. Will cherish these moments for years to come.